CBSE Schools In Pune: Parents always try to provide their children with the best of everything, whether it is food, clothes or education. Finding the best school for their children is one of the most difficult tasks that every parent faces. Pune is one of the most preferred destinations for education in India. All parents living in Pune and those planning to move to Pune must be aware of the list of best CBSE schools in Pune. As a parent, choosing the best school for your children is very important as schools play a vital role in building a strong basic foundation in their education journey. There are many CBSE schools in Pune. So, finding the best CBSE Schools in Pune is not an easy task. But we’re here to help. 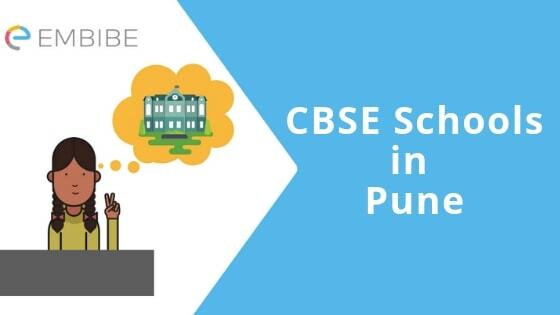 In this article, we will provide you with all the detailed information regarding top CBSE schools in Pune along with the facilities available in the schools as well as contact details. Read on to find out. Now you’re provided with all the detailed information regarding CBSE Schools in Pune. But it is important to note that schools alone cannot help in the development of the students. Personalized guidance is essential too. It plays a vital role in shaping the future of students. At Embibe, we believe every student has the right to personalized guidance. Our premium tool, RANKUP provides personalized attention and step-by-step guidance to engineering and medical aspirants preparing for exams like JEE and NEET and helps them to improve their score. We hope this detailed article on CBSE Schools in Pune has been helpful. If you have any query regarding this article on the best CBSE Schools in Pune, drop your comments below and we will get back to you as soon as possible.